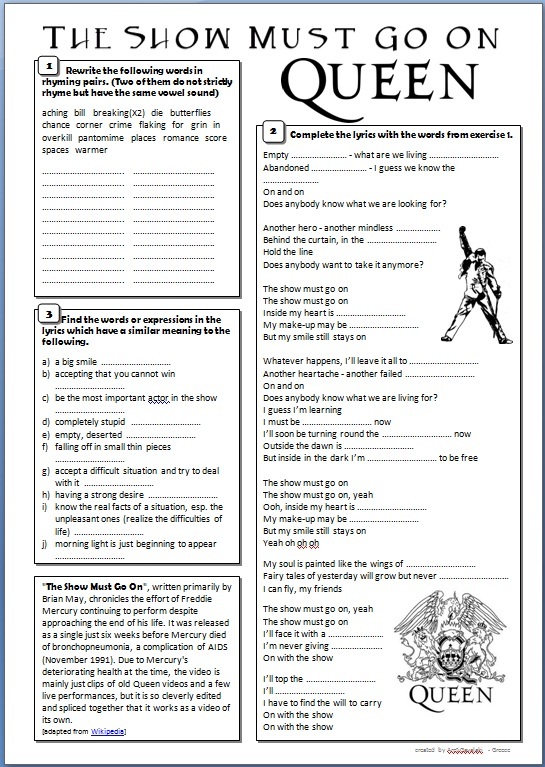 This worksheet is based on the song The Show Must Go On by British rock band Queen. 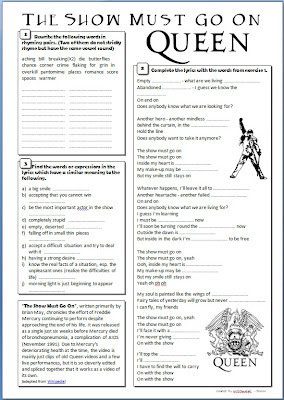 Before listening, the students are given a number of words from the lyrics and are asked to rewrite them in rhyming pairs. Then they try to complete the lyrics using these rhyming pairs. They listen to the song and check their answers. Finally, they do a vocabulary matching exercise so that they can understand the lyrics better.